From 1978 until 1992 is Head of Photography Department at the National Museum of Cinema, Turin. In 1980 he began curating exhibitions on Italian photography mainly of nineteenth century. 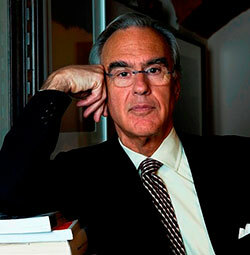 Author of several books on collectible photographic equipment (“Made in Italy” Storia e tecnica degli apparecchi fotografici italiani” 1983, “Topcon Story” 1997, “Rectaflex, la reflex magica” del 2002), and of texts about history of photography and photographic techniques that appeared in different Italian and foreign magazines. 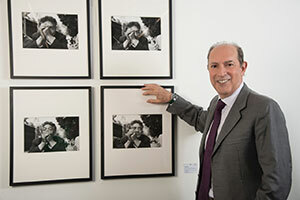 In 2010 with the daughter Irene opens Photographica FineArt Gallery in Lugano, where he exhibited 900’s international authors in the classical photography section and Italians in the contemporary photography section. He approached photography in 1997 and in 1999 he met Doug Beasley, he attended his courses at the Photographic Arts Retreat Center in Minnesota, thus beginning a research of the various ethnic groups and cultures of the peoples of the Americas (Mexico, Guatemala, Peru and Lakota Sioux Indian reservations in South Dakota and Navaho and Hopi in Arizona). He did numerous solo and group exhibitions including “Mynanmar, Birmania: Luce, Acqua, Presenze” with the presentation of photobook “Myanmar” published by Silvana Editoriale, Castello D’Albertis – Museum of World Cultures, Genoa. In addition to solo and group exhibitions, the Studio publishes catalogs, organizes conferences, meetings with photographers, curators, critics, writers, books presentation, workshops, and works with various institutions such as the National Museums and Galleries. Photographer specialized in travel reporting, Michele Bella is also an avid collector. In 2012 he opened a photography department in Valeria Bella Gallery, historic gallery in Milan, founded by his mother in the 60s. It’s dedicated to photography from postwar,period, both Italian and international. To continue the tradition of the gallery, he mainly deals with the great masters of photography, without neglecting the work of young people, which he has always felt close. 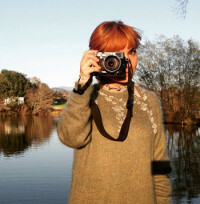 Chiara Capodici deals with photography since 2005. After working in the production and communication with Zoneattive, she was assistant artistic director of FotoGrafia- international festival of Rome from 2006 to 2008. She is co-founder of 3/3, photographic design studio, which since 2009 has focused its work on producing and curating photographic books and exhibitions and workshops in Italy and abroad, with a particular attention to the world of publishing. She has served on several juries for international awards, including the Kassel photobook Award and the Prix Pictet. Fiorenza Pinna, founder of 3/3, photographic design studio, independent curator and book-designer, is responsible for the curatorship of books and photographic exhibitions. 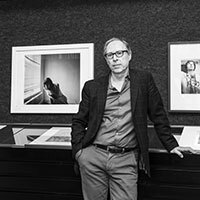 He collaborated in the photographic field with galleries, institutions and Italian and international publishers, making conferences, workshops and portfolio reviews. Riccardo Costantini was born in Milan in 1965. After a brief experience at the Department of Culture of the Province of Milan, he began working steadily with the gallery opened by his parents, Il Torchio – Costantini Arte Contemporanea in Milan. 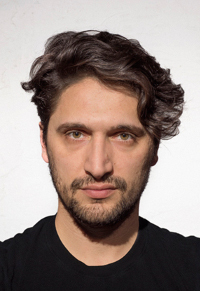 From 2007 to 2013, together with Roberto Mutti and Giovanni Pelloso, he is a member of the Steering Committee of Photofestival Milan. In 2010 he ends the experience with family gallery and moved to Turin, where in 2012 he opened his own space, Riccardo Costantini Contemporary, first in via della Rocca and from 2015 the present location in Via Giolitti. Although the gallery project does not provide for the exclusive focus, photography plays an equal role to any other means of expression. Carine Dolek is co-founder of Circulation(s), festival of the young emerging european photography, and member of the festival’s artistic board. Copy editor of Instagram France. Journalist for the Réponses Photo Magazine. Marion Hislen is founding and president of the association Fetart, the association having for objective to make the promotion of the emergent photographers by giving them a first opportunity to exhibit their work. Fetart organizes Circulation (s), first festival of the young European photography in France. She is Director Photo and Book of Fnac within the direction of the Cultural Action. She also manages Photo galleries Fnac, 20 spaces of exhibition through France. Ângela Ferreira is the director/curator of the Portuguese PhotoFestival Encontros da Imagem, Braga, an international festival specialized in exchange of fine art photography, finding and introducing contemporary artists around the world. Ângela have a PhD thesis in Visual Communication at the Federal University of Rio de Janeiro, Brazil. She is especially interested in documentary and photoessays oriented work as well as compelling work addressing contemporary issues whether abstract or concrete. She is looking for well-edited portfolios to include in the Festival Encontros da Imagem in Braga, as well as for the purposes of nominating work for other photography institutions. 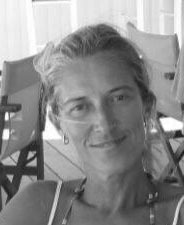 From 1999 to 2002 she worked at the Modern Art Gallery in Bologna, dealing with the organization of exhibitions before, and later in the press and communication office. 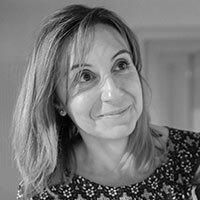 From 2002 to 2005 head of communications of Ravenna MAR in the project of visual identity and communication of exhibits, from 2005 to 2008 she worked as editor for the publishing house Damiani Bologna in the development of the publishing catalog. 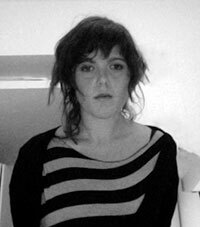 Since 2009 she deals with Metronom activities, promoting contemporary artistic research with a focus to the authors of the younger generation. With Metronom launched in 2015 LIVEstudio project, artist in residence and in 2013 Generazione critica, an annual conference dedicated to art criticism. Gabriele Micalizzi is a photojournalist who employs images as his signature for personal long term projects, editorials, features and international news. In 2008 Gabriele established Cesuralab under the artistic direction of Alex Majoli. In 2010 he covered the Red Shirts revolution in Bangkok to which followed in 2011 his coverage over the Arab Spring in Tunisia, Egypt and Libya. Gabriele continues his work in the Middle East and the political tensions in Gaza, Istanbul and the economic crisis in Greece. Since 2008 Gabriele is carrying on a documentary project focused on Italy and the decay and identity crisis which contaminate the country. 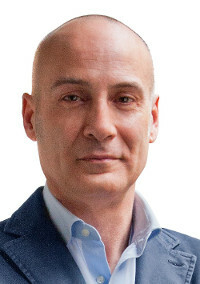 Today, Gabriele has many contributions with national and international magazines and newspapers such as New York Times, New York Times Magazine,Herald Tribune, New Yorker, Newsweek, Espresso, DRepubblica, Repubblica, Internazionale, Panorama, Sportweek and Wall Street Journal. 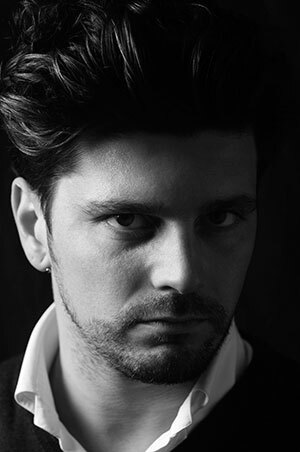 Born and raised in the Milan area, Luca Santese co-founded Cesura in 2008. In 2010 he was selected for the World Press Photo prize with the project Detroit 2009-2010, and his project Found Photos in Detroit was exhibited at Le Bal Space in Paris. Subsequently his work was exhibited at the Kulturhuset in Stockholm, 2012; the OGR in Turin, 2013; the MoCP in Chicago, 2014; and at Fotografia Europea 2015 in Reggio Emilia. In 2011 he published with Arianna Arcara the book Found Photos in Detroit, which received seven nominations for best photography book of the year. Santese’s work has been exhibited and published in Europe, Asia, and the United States. Born in Milan in 1968, she began working in the department of contemporary art of auction house Sotheby’s and then at Photology, one of the pioneers of photography galleries in the Italian market. In 2005 she started working with Contrasto, first in the creation of Gallery Forma; afthen she has continued the management of the gallery that currently heads in the spaces of Via Ascanio Sforza in Milan, with the name of Contrasto Gallery. She has curated numerous exhibitions, both famous and emerging authors: Mario Giacomelli, Sebastiao Salgado, Irene Kung, Massimo Siragusa, Alessandro Imbriaco, Kenro Izu, Gianni Berengo Gardin, Piergiorgio Branzi, Elliott Erwitt, Alex Webb, Bill Armstrong, are all Contrasto Gallery represented artists. 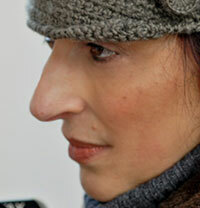 She works for the exhibition program of the Leica Galerie Milan. 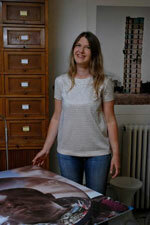 Her approach to photography is aimed at the collectors’ market, which has specific parameters and choice criteria. Pierre André Podbielski in 2011 opened in Berlin the photo gallery Podbielski Contemporary. 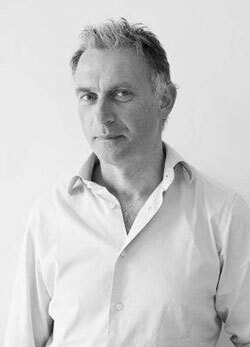 Collector and gallery owner since 2001, Pierre André collaborated with Rubin Gallery in Milan, becoming a partner and co-director and in charge, mainly, of abstract painting. Present in several important fairs (Art Cologne, Arte Fiera, Miart, Preview Berlin, Artissima, MIA), he is in a network of significant contacts in the art world and he is finally landed in Berlin. The German capital is now considered the most important crossroads of cultures and the center of a creative artistic development, multi-ethnic, cosmopolitan, always open to debate and discussion between artists, critics, gallery owners and collectors. 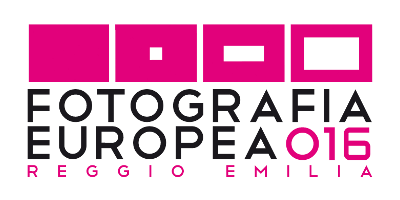 At the end of Sunday, May 8 sessions, at 1.30pm, the present reviewers, at their sole discretion, will announce the 3 best portfolio, which will be published on Fotografia Europea website. Those who wish to participate in the selection of the best portfolio, at the end of the review, must submit to the secretariat the prints of their images properly closed and with a label indicating the name of the owner. At the end of the ceremony all the portfolio will be returned to the owners. If you can’t withdraw your portfolio on Sunday, May 8, you can pick up at Foto Superstudio in Reggio Emilia, in the following days. Portfolio Review 2016 are organized by Inside Training and Foto Superstudio, in collaboration with the Municipality of Reggio Emilia. Each review will last up to 25 minutes and the participant can show a maximum of two portfolio with a maximum of 15 images each. It’s better to take printed portfolios, but you can also use digital media (there will be no electricity available). Foreign reviewers (marked on the registration form) will speak in English and there will be no simultaneous translation. Each participant can participate in one or more reviews, the cost of the reviews will be cumulative: 2 readings € 70, 3 readings € 105 and so on. The invoice will arrive by mail a few days after signing up.